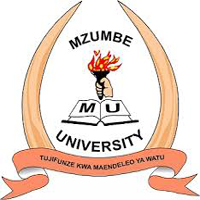 Home / JOB VACANCY / VACANCY AT MZUMBE UNIVERSITY ASSISTANT LECTURER INSISTED TO APPLY. VACANCY AT MZUMBE UNIVERSITY ASSISTANT LECTURER INSISTED TO APPLY. If not hear from us till three weeks from the date of this advertisement consider yourself unsuccessful.